Limassol, April 22, 2016– Orbex, a leading global investment services provider, appears at the 9th Saudi Money Expo 2016 as the main partner of this momentous financial event of the Middle East. The Expo will take place on 22nd -23rd of April at Crowne Plaza, Jeddah, Saudi Arabia. It has always been a matter of substantial importance for Orbex to meet our investors and traders in person, in order to ensure they have an opportunity to learn about new investment solutions. Orbex highly values its Middle Eastern clients and endeavours to develop a strategic partnership in the region. Along with networking and presenting the newest additions to the Orbex’ broad product range, different seminars will be held, featuring the topics on current market trends, the most innovative trading strategies, and fresh investment perspectives. The keynote speaker of the event, HRH Prince Dr. Saif Al Islam Bin Saud Bin Abdel Aziz, is opening the Expo. Orbex will give all the attendees an outstanding opportunity to meet the renowned Professor Fayez Al-Ajmi, who will introduce his comprehensive educational course, outlining the basics of trading with Harmonic Price Patterns. Orbex will be pleased to meet traders, investors, and partners at the booths B1, B2 and B3 throughout the duration of Expo. 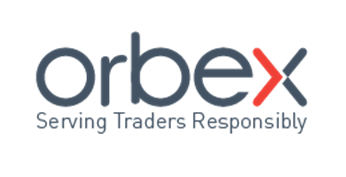 Orbex is a global award-winning online forex broker, fully licensed and regulated, specializing in the provision of access to the world’s biggest and most liquid financial markets. Since its founding in 2009, Orbex aims to build the responsible development of the global online trading services market by empowering investors with smart online tools backed by customer service to help them focus on new market opportunities. Saudi Money Expo 2016 is a 9th annual event in Jeddah to join global and regional financial institutions and FX brokers with Saudi investors and businessmen.